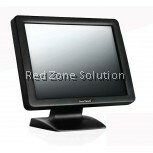 We had carry several touch screen monitor brand to provide different customer needs. 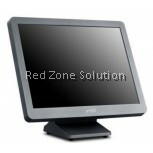 Resistive Touch Screen monitor is most common in market with a more reasonable price. 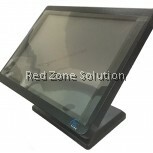 Capacitive Touch Screen Monitor have a better sensitive touch on screen which can detect human finger thumb. 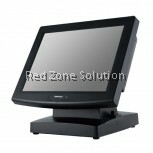 Touch Screen monitor majority are used in Restaurant, Fast Food counter. Or on a commercial machine. Ever since their development in 1971 touch screen monitors have been finding their way into more and more commercial applications. They come in any number of configurations, but in the end, they all function on the same principle and that is "see and touch." Touch screens Malaysia has become very popular in Malaysia commercial outlets like cafe, airports, ATMs, industrial automation, and in computer-based training. In restaurants, customers can simply use touch screens as a tool in ordering points where they can place their order on their own without dealing with a retail clerk. In computer-based learning, a touch screen is very helpful because it keeps the learner focused on the display and learners do not need any technical know-how to operate the keyboard or hardware. To begin with, touch screen Malaysia computers are so simple to use that anyone can be taught how to use them in only a few minutes. This means that a new employee can be operating a touch screen monitor on their first day in any of the retails outlet in Malaysia. This, in turn, translates into savings on wages, because an employee need not possess specialized skills to occupy a position at a point of sale such as the front register. Time savings is another element that a touch screen monitor brings to a Malaysia POS terminal in any retail establishment. Quite simply, they take the take the "thinking" process out of any transaction. Simply look and touch, and the transaction is done. Also, any pertinent information regarding merchandise is plainly visible on a touch screen monitor. Any products that can't be bar coded, such as perishable or items that are too small or have surfaces that hinder barcoding can now be quickly and easily processed through a point of sale with a touch screen monitor as well. Also, a touch screen monitor for customer use means that customers can make selections on their own without the assistance of paid personnel. The viability of Malaysia touch screen monitors as a tool of the retail establishment in Malaysia has been established for some time now and this is why more and more businesses everywhere are implementing them. 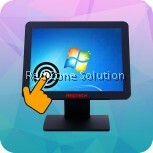 Another factor is that they have also become more affordable in recent years as you can get them at very affordable and pocket friendly prices at Red Zone Solution (https://www.redzone2u.com/touch-screen-monitor)and they are a technology that isn't going to become obsolete in this lifetime. All of the above benefit or advantages could all be seen in a Malaysia touch screen computer. 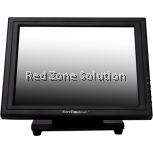 At Red Zone Solution, we render the best of service when it comes to selling the best of touch screen monitor in the whole of Malaysia. 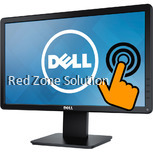 We deal in quality brands like Dell, Sure Touch, RedTech, Posiflex, VTOP, among other top manufacturers of touch screen monitor and they all comes in different shapes and sizes. 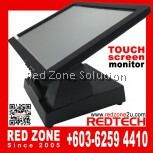 All our product at Red Zone Solution are durable and dependable; Touch Screen Monitors Malaysia have what it takes to perform in demanding point-of-sale (POS), point-of-purchase, and public environments. With decades of experience in rugged and extreme display application experience, Red Zone Solution brings its expertise to touch screen monitors Malaysia, making them the most dependable and well-performing on the market.